Precise color, out of the box: With a factory calibration report and a Delta-E < 2, you can be confident that your colors will be impressively accurate right from the start. Wide color coverage: Major industry standards such as AdobeRGB, sRGB, REC709 and DCI-P3 are 99% covered. Fine-tune to your preferences: Custom Color mode, SDK and optional X-rite i1Display Pro colorimeter allow you to customize colors to your preferences. Exceptional detail: With 1.07 billion colors (64x more colors than the standard monitor), you can see more details in higher clarity, even across an ultrawide viewing angle. Expanded canvas: Advanced connectivity (DP-out) allows for simple daisy chain extension into a second screen. A view tailored to you: Easily display content from two PC sources with picture-by-picture and picture-in-picture features. Plus the KVM feature enables you to manage content with a single keyboard and mouse. Stay connected: A wide range of connectivity ports ensure that you can connect your secondary devices without extra hardware. Work comfortably: With height-adjustable, tilt, swivel and pivot features, you can collaborate and work with ease. 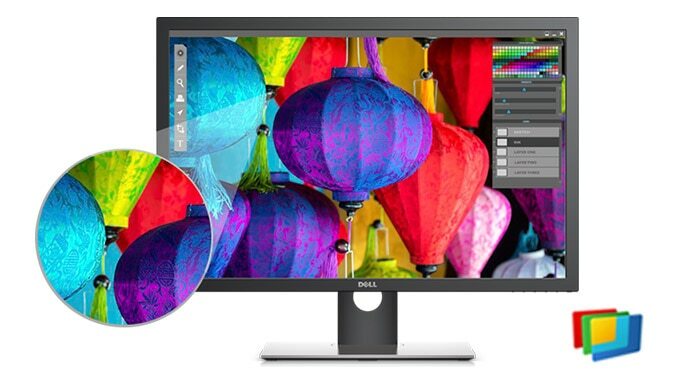 As the #1 monitor brand for 3 consecutive years, Dell takes pride in our unyielding commitment to quality and the utmost satisfaction of our customers. Your monitor comes with a 3-year Advanced Exchange Service1, so you can get a replacement shipped to you the next business day within its 3-year Limited Hardware Warranty 2. Complete your experience with recommended accessories designed to make the most of your Dell UltraSharp Monitor. 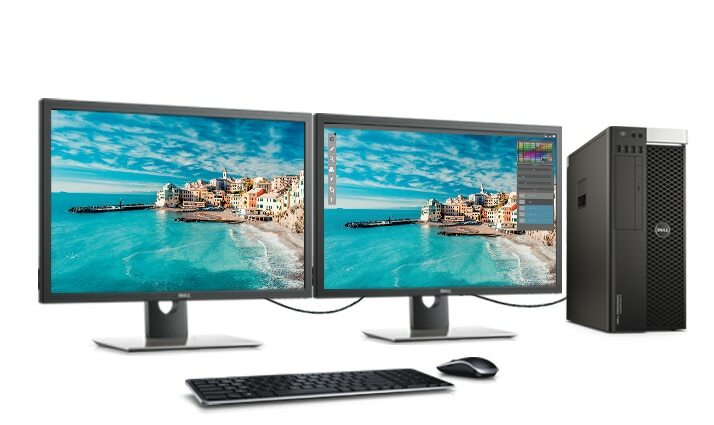 A low profile, stylish sound solution that matches the styling of various Dell monitors with convenient USB power. High-quality, wireless performance in a modern design that allows for a clutter-free desktop experience. T-bar keyed locking mechanism, premium components and 6-foot steel cable secures your monitor against theft.